Christy Sacco is currently channel program manager at Panasonic System Communications Company of North America for the mobility division, which focuses on the Toughbook computers, tablets, and rugged handheld product portfolio. Sacco leads overall channel development, including operations, communications, marketing development funds (MDF) management, deal registration, demo unit offerings, and program training. Christy began her career in IT distribution at Tech Data Corporation, holding various sales and marketing roles with increasing responsibility. 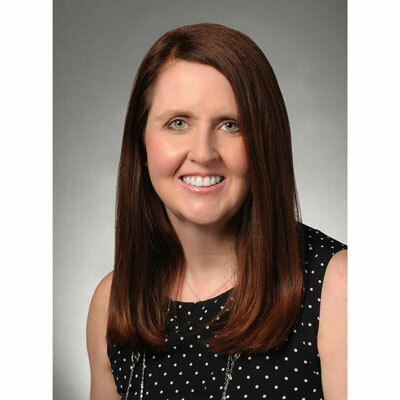 Upon leaving Tech Data in 2005, Christy transitioned to managed services and held leadership roles at ConnectWise and HTG Peer Groups. After rolling out Panasonic's updated channel program in 2016, we spent the past year working to leverage Panasonic's success in the channel and create what is now an award-winning reseller program. To launch this program, I worked with my team to introduce competitive program enhancements for partners who exclusively market and sell Toughbook computer and tablets, including fixed quarterly rebates based on partner sales, and a year-end rebate if partners achieve a certain growth percentage within the fiscal year. Additionally, we increased the amount of MDF available to support focused marketing efforts. Over the next year, our goal is to improve operational activities to demonstrate our ongoing commitment to mobility resellers. The channel is always evolving, and my goal is to continue to lead Panasonic's award-winning channel program to best fit the needs of our partners. Outside of family, I admire Eunice Kennedy Shriver, the founder of the Special Olympics. When I was in high school, I volunteered for the Special Olympics and saw firsthand what a unique organization it is. Eunice was a true advocate for children's health and disabilities and created an organization where those with special needs have a chance to shine and compete. People want to help those that they like and trust, and that comes from building long lasting relationships. Use your resources and be wise with your finances. This will allow you, and only you, to be in control of your destiny. I would sharpen my presentation skills to improve communicating persuasively and developing engaging content to deliver an effective and structured message to my audience. In today's workplace, holding captivating and impactful presentations makes you stand out among the countless meetings we all join. "My Year With Eleanor" by Noelle Hancock, which is about a young woman, inspired by Eleanor Roosevelt to do one thing a day that scares her before her 30th birthday. A friend gave me the book to read for fun, but I found that it contained many life lessons about tackling your fears and living in the present.